If second-hand shops can hike the price for the used clothing donations they receive then you should save yourself the trip, sell your own stuff and pocket some extra cash. Even the smart frugal shopper knows that some of the second-hand shops sell overpriced clothing so if you want to sell price your used clothing right! Not everyone wants to make money from their used clothing for various reasons but if you want to pocket some cash then don’t delay post a for sale ad today. That’s my radio jingle of the day, lol. Seriously though, for those of you who have sorted through your closets, dressers and boxes of old clothes you’ve been saving let me show you how to sell them for the best price. Pricing used clothing is like selling a house, it can sell quick or can spend some time on the market waiting for the right buyer. If you price your clothing too high then it likely won’t sell unless it’s a unique, limited or a hard-to find clothing item. Same with a house. Negotiations almost always come into play with all buyers but if they don’t choose to negotiate that means they REALLY want the item. This is to your advantage because it’s out the door, cash in hand, no effort required. Perhaps you might make extra money if there are more than one buyer interested in what you are selling. Used clothing wars vs. House wars, same concept. When you sell just about anything the key is to over-price by a bit to see who will bite and then go from there with pricing. Why should you slightly over-price used clothing? You already know that most buyers will either try to drop the price by $5-$15 most often it’s around the $5 mark depending on your original price. If you raise the price you want for used clothing by a few dollars depending on the piece then you can be assured to get what you wanted if there is a negotiation. If there is no negotiation you make more money than you anticipated. The same thing happens when you sell a house. Some of the pricing problems faced by used clothing sellers are common simply because of lack of experience and product knowledge. Not everyone buys the clothing they are selling as used clothing so they tend to just, “guess” at a reasonable price instead of doing the obvious, researching the used clothing. The clothing might have come from gifts or hand-me-downs so the original price is unknown. Any time we buy used clothing whether it be from the second-hand shops, Kijiji or Facebook Buy and Sell groups I always investigate what the retail price was or still is. Often when you are not close to a computer you can tell if an article of used clothing is worth the price or not. Look at the material, name brand and shape the clothing is in to make your decision. The good part is you can typically return used clothing purchased from most second-hand shops for an in-store credit. Prices for used clothing differ depending on where you buy it and for all you know they got it on sale which means nothing to you. Your focus is always the retail price without a sale price. If you are able to compare prices by visiting various websites who sell the same article of used clothing then you will be able to get an estimated price to use as a reasonable starting point. It sounds like lots of work however if you want to buy or sell used clothing and don’t want to over-pay or under-sell yourself then you need to know the prices. So how do you go about pricing used clothing? As a parent we were given lots of baby clothes as gifts the past two years. We’ve also bought many articles of new and used clothing for our son. Over the years we’ve sold our own used clothing and now with our son we’ve learned a few valuable lessons along the way to close the deal when selling our clothes. You need to know everything about the used clothing that you are selling if you want top dollar for them. As I stated earlier research online is your best bet and stick to retail prices not sale prices. Once you know the retail price you should inspect the used clothing to make final pricing decisions. Specialty clothing such as brand name, maternity used clothes, plus-sized used clothes, petite used clothes, tall and short used clothes typically sell for higher prices in boutique type shops in the mall or independent stores. I remember when my wife was pregnant with our son we went to Thyme Maternity and the prices just blew us away. If you work in an office or just want to be in-style with your maternity clothes you’ll pay the price. Most of these designer and specialty shops offer coupons and deals as well. The choice is yours but sometimes it’s not as easy to find certain clothing based on various body shapes and sizes so used clothing might be a bit tough to come by. When you do find it if a seller prices it right you can score a great deal. Buyers must understand their potential customers and come up with a marketing plan. You can also search the places you plan to advertise your used clothing for similar pieces in comparable condition to see how much they are selling for. It’s important to know what your competitors believe their used clothing is worth so you don’t price too high or too low. The only set-back to this tactic is that the others might just randomly be pricing their used clothes which could ultimately drive your price up or down. See…it’s comparable to buying a house. When you list the price and the buyer asks you to negotiate keep in mind the numbers you’d like to get for the used clothing and how far you are willing to bargain if they buy bulk amounts. When dealing with a buyer via email do your best to solidify the sale and price online before they come to the house or a meeting place. If a buyer comes to your house and wants to buy 3 big boxes of baby clothes that you have priced at $20 each but wants a deal then knock $5 off each box or $10 off the entire sale. Smile when you offer the negotiated price and see what happens. You can choose to negotiate or wait for a full-priced buyer or higher bidder. Clothing can be a hard sell especially with second-hand shops who offer 50% off days or a variety of other discount cards. You don’t have this option and most buyers know their prices and what they are up against for comparison. They are there to save and you are there to make money. If you plan to hold a garage sale forget the above tips and price it all cheap to get rid of it. No one will buy your used clothing if you have outrageous prices at a garage sale. I’ve seen people tell buyers to stuff a bag for x amount of dollars or give used clothing a dollar or two price tag and that’s it. Sell, Sell, Sell is the name of the game at a garage sale. Some of the things you will want to look for when you are selling used clothing is rips, stains, shrinkage, stretching, pulls, colour fading, authentic or knock-off brand names. Any and all of these will affect the price. In most cases you’re better off just donating the clothing to someone who can use it or to community centers who hand out clothing for free. Buyers love to purchase filled to the brim boxes full of clothing and the best way to do this is to bundle everything you’ve got into seasons or brand names along with appropriate sizing. You will sell a bundle of clothing faster if you have each lot containing the same size. If you can bundle sizing with brand name you can score even more money or have more negotiating power. When selling baby clothes we find filling a diaper box full of seasonal clothing by size and brand works well. We price each article and then add it up to come up with a base amount. Most buyers only want to spend one dollar or less per article of baby clothing. If you have used clothing such as Roots, Baby Gap or other name brands that are pricey I’d keep them out and sell them individually as you won’t get near what you can if you put them in a bundle. I’ve seen sellers of men’s and women’s clothing who stuff garbage bags full of clothing with mixed brand names and sell the bag. When you do this keep in mind that the buyer won’t be trying it all on so price the bag accordingly. You may lose money this way but if you are strapped for time it’s easier to bag it and get it out of the house for cheap. When you sell by piece be prepared that buyers may want to use your washroom to try it on. I wouldn’t suggest going into someone’s home to try on used clothing but it happens. As a seller I’d never let anyone in my home unless it was to see a product but I’d also have other people present. You can easily advertise the used clothing purchase “as is” without trying it on. You can also meet at a public place where the buyer can go into a rest room and try it on. Some police stations in Ontario are now offering safe spots where you can buy and sell without worry but there are no change rooms as it’s outdoors. With baby clothes and children’s clothing the sizing is straight-forward so you won’t have to get the kids to try anything on. Worst case…you resell any used clothing you buy that doesn’t fit or doesn’t look right because you can’t bring it back. There are some sellers who are more than happy to have you take the used clothing home to try on and if it doesn’t fit will allow you to return it. This doesn’t happen often so be warned once you pay, you’ve bought it. You don’t need a state of the art DSLR Nikon camera to take photos of your used clothing but you do need to add a bit of flair to your photos. If you are taking photos of your used clothing you must make sure they are clear. When using your smart phone to take photos use the focus option and snap when you see a clear pic. Try to eliminate all the background noise such as furniture, kids and any pets by focusing on what you are selling. Having a nice bright room is often the best way to get a clear photo. Hold your hand steady and focus, focus, focus. Sometimes I find if we have elegant pieces of furniture in the house and set stuff next to it that we are selling like house staging the item sells faster. You’re not being unfair you’re simply working as a seller to appeal to your audience of potential buyers. Related: How to stage your garage sale to sell your stuff faster. If you have a mannequin or know someone who does that might lend it to you then you can showcase your clothing this way. It makes it easier to photograph and for the buyer to get a better look at it. You shouldn’t need to edit your photos because you want them to be as original as possible. Don’t waste your time and the buyers time by using Photoshop to make your photos appear brighter, cleaner and in newer condition when they might not be. Think about buying a house and how important the two or three paragraphs you or the realtor describe your home as. Home buyers will read that description and in part based on that decide whether they want to view your home. The same goes with selling used clothing online. Your subject has to be catchy, clean and to the point. The body of your ad must contain all the important information along with general pick-up area. The more you add enthusiasm into your ad the likelihood buyers will be attracted to read more about the used clothing you are selling. Always be upfront in your ads and label them with smoke-free home, pet-free, smoking home, pet-friendly (name the types of pets) so the buyer is aware. Some people are highly allergic to certain pets so be fair and let them know. There’s always a buyer… well almost always. Overall, you may feel uncomfortable selling used clothing if you don’t know how to price it or negotiate prices but keep in mind what your end goal is. If you don’t want the money or feel overwhelmed by all the prep work you can always sell your used clothes cheap, donate the clothes or pass them down to family and friends with a smile. 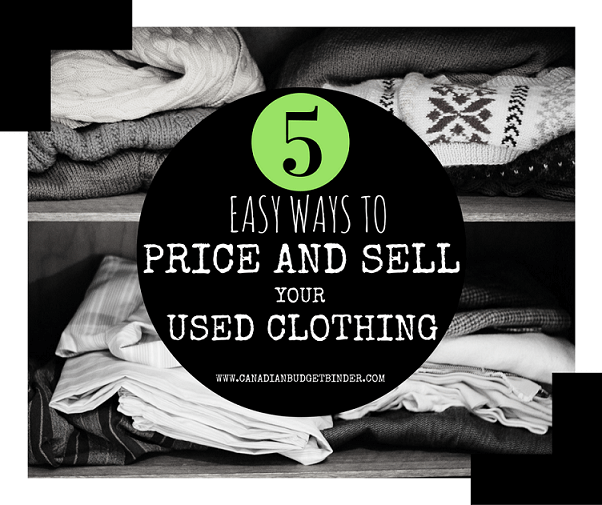 How do you price your used clothing when you sell it? Most of my free time this week was spent spray painting a second-hand Lightening McQueen bed for our son so we can work on getting him into his own bedroom. It was a great price and we could easily sell it for double or triple what we paid down the road as long as it’s still in decent shape. Boys can be rough with their stuff and our son is no exception. We have a bucket of broken stuff I either need to glue or try to fix for him and he’s only 2. On Thursday I spent a couple of hours at the park with our son making huge piles of leaves and jumping in them while the wife was at the doctors. We had so much fun by the time we picked her up he was spark out, haha! It was nice to have some one on one time with him as I don’t often get that. That was my fun-filled week!! I know exciting but it’s fun to be a parent. I get to do all these cool things again without looking like a silly adult at the park. I’m currently booking for December 2016/January 2017. Today lets welcome Nilay Lad who runs Just Compare Canada. I started blogging for the same reason I started my FinTech firm. To help educate people about managing their finances better and understand that anyone can manage their finances more responsibly. Fewer people these days know how to manage their finances and rely too much on specialists because they have little time but they don’t realize the lack of education is costing them in the long run. I hope that my blogs inspire people to educate themselves in managing their finances better and encourage their family and friends to do so. People need to understand that technology has not hindered us but empowered us to do more independently and means we can take control of our finances better. Once our Independent Financial Comparison site, www.JustCompare.ca goes live in 2017, Canadian’s will have a powerful tool to help them search, compare, and apply for mortgages, credit cards, or personal loans within minutes, with the Provider of their choice. I am excited, as I know 1000’s of people in Canada have demanded such a tool and we are almost here. Check out this awesome deal from CBB fan, Colleen. 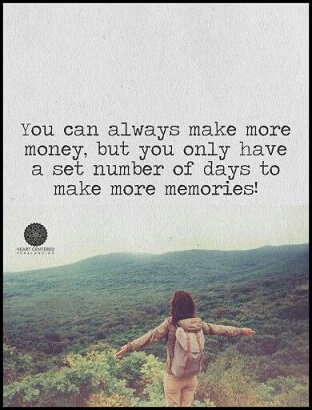 You can always make more money, but you only have a set number of days to make more memories. Obviously making money is important to just about everyone but when it becomes more of an obsession and takes away from your life you become unbalanced. You can’t get time back so make those memories and earn your money but just know when enough is enough. 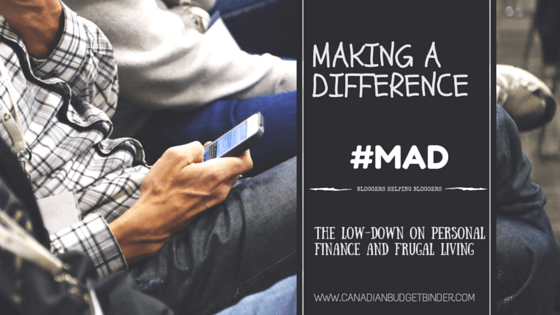 I stumbled upon the personal finance blog Miss Mazuma a flight attendant who shares her savings story and why her savings rate is so high. This was an easy read with laughs along the way. I look forward to reading more from this blogger who has me jealous with all the cheap and free flights she gets around the world. If I were her I’d keep getting those $6 massages in Thailand. I know, I had a few myself when I was there. 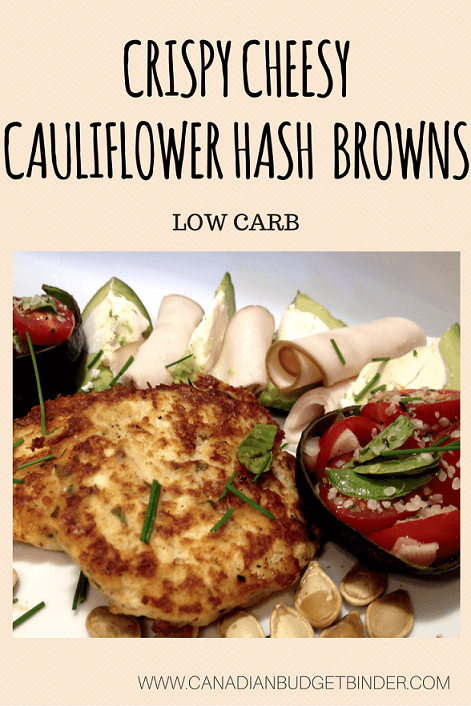 Check out the Free Recipe Index on CBB compiled of frugal recipes that are 100% tested and accepted by family and friends! This week I stopped by the blog, Some the Wiser by Allison Ruth a single mother of four who loves to cook and bake. 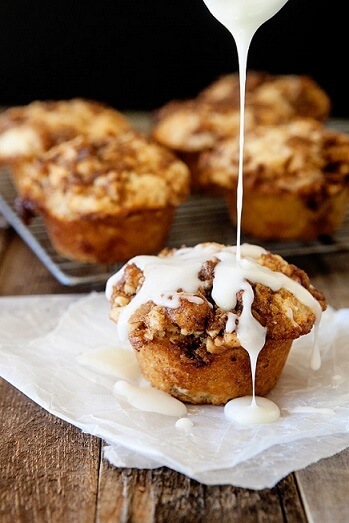 I instantly thought about my wife when I saw these dreamy Cinnamon Roll Muffins because I knew she would love if I could whip up a low-carb version. Personally, I’d sink my teeth into Allison’s recipe first just to get an idea of what I’m looking for in terms of taste and texture. Delicious for sure. 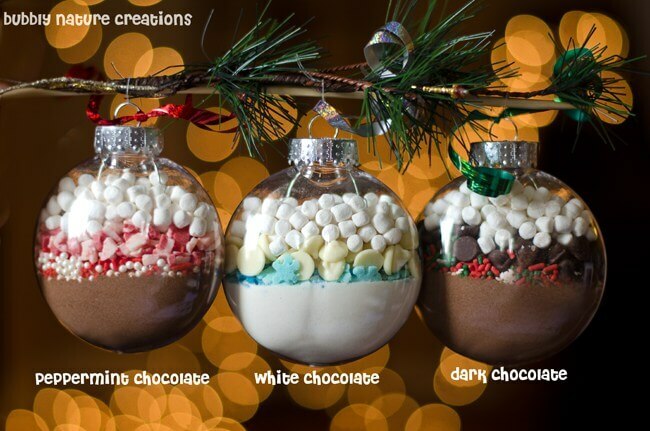 You MUST check these Hot Cocoa Mix Ornaments Christmas DIY project out over at the blog, Sprinkle Some Fun by the lovely Rachel Rockwell. She’s a mom of 5 children and love crafts and it shows with this pretty cool idea which you can give away as a gift during the holidays. A wonderful frugal idea for the crafty CBB fans out there. Would you buy peanut butter from a dollar store? 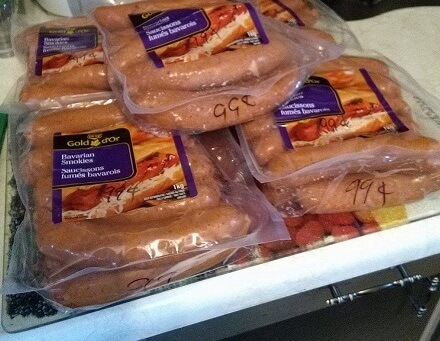 – Yes and No because it’s likely cheaper to wait for a grocery sale and stock up then it is at the Dollar Store. However, if you can’t wait then yes just read the label. When You’re You’re Poor– Oops you seem to have said “You’re” twice. Can coupons expire in Canada?– Could you imagine if they didn’t? Yes almost all do unless marked No Expiry. How to make a bit of money fast?– Bring back your empties! Does Food Basics have PC Points– Um, No but if you use your PC Master Card you will get points.